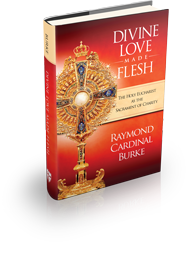 In Divine Love Made Flesh: The Holy Eucharist as the Sacrament of Charity, His Eminence Raymond Leo Cardinal Burke examines the beauty and power of the Holy Eucharist in light of the profound teachings of Blessed Pope John Paul II and Pope Benedict XVI. 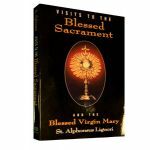 Using clear and illuminating language, Cardinal Burke guides the reader through the teaching of the Church on this Most Holy Sacrament and Its place in the life of every disciple of Jesus Christ. 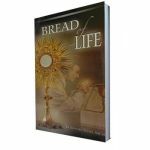 This spiritual treatise on the central Mystery of our Faith links the rich theology of the Church with pastoral practice and the spiritual life. 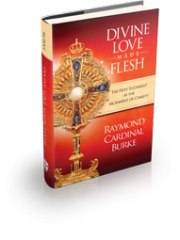 Cardinal Burke’s ability to reach the layman in simple yet inspiring language is sure to engender love for the Holy Eucharist in the hearts of all his readers.